Slime ... and grime Aguamenti Tergeo! Accio agua! Reducio! There she is! 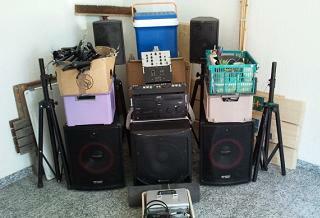 2 boxes, cable box, box with cover mats, crate with hangers for the wardrobe. Then waiting for the taxi. Hopefully a good one. Because not every taxi turns out suitable. 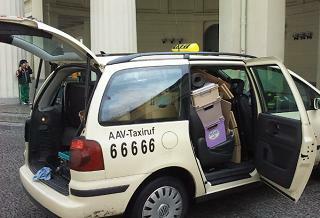 And if it is not every taxi driver is convinced that the whole stuff fits in. But here's the proof.